San Francisco Muni’s light rail crash at the West Portal Station in 2009 could cost nearly $7 million in total payout settlement. Muni operator Henry Gray blacked out and caused the accident at the accident. Two-car L-Taraval train, caused a collision with a stationary K-Ingleside and which caused 47 people injured. The San Francisco Municiapal Transportation Agency, which operates Muni, had way too many injury claims to deal with. Many of these case have already settled but some are still pending with some more serious injuries. With the latest payouts, the MTA will have shelled out $2.4 million related to injury claims and lawsuits from the accident, according to The City Attorney’s Office. The two vehicles involved in the accident suffered $4.5 million in damages. Collectively, the costs have totaled $6.9 million. 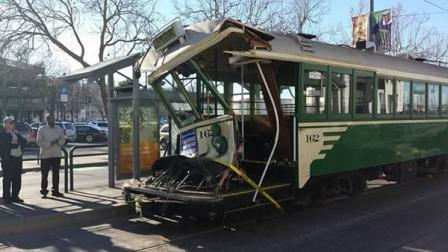 An operator who caused the accident is no longer work for Muni. This operator has been known to have a bad operating record. The report about the cause of the accident will come out later on this year, according to Peter Knudson, the spokesman for NTSB. The NTSB (National Transportation Safety Board) has been investigating this accident for over a year and a half.